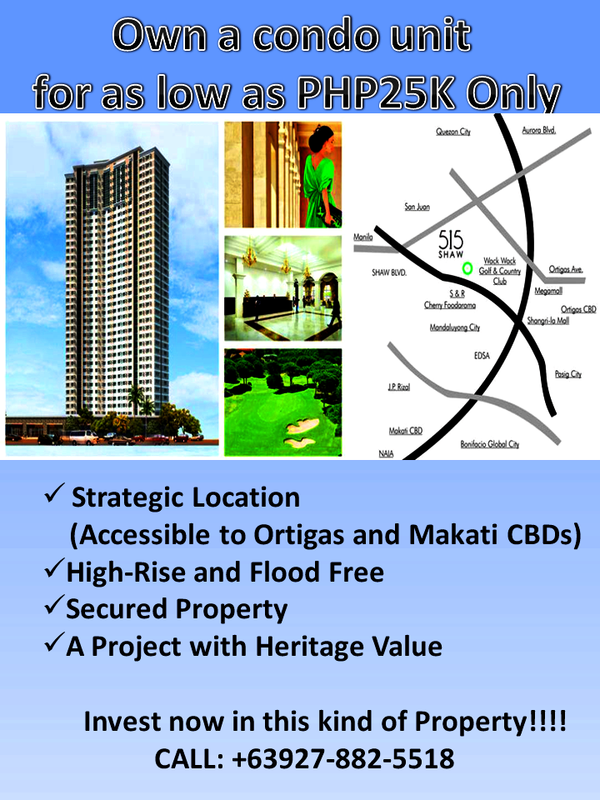 Ortigas CBD – Situated at the mid-centric of Metro Manila, Ortigas Center began in 4, 033 hectares “an Hacieda de Mandaloyon” , an estate from the Augustinian Order earlier 1920. In the following years, there were several changes of partners. When Ortigas & Company acquired the estate, from Augustinian Order last 1920 with Don Franciso “Paco” Ortigas and Dr. Frank W. Dudley, it was a virtual wasteland. The vision of the management, headed by Atty. Francisco Ortigas, Jr., who was President and Chairman at that time, turned it into a progressive industrial, commercial, and residential urban complex. But Dr. Dudley later sold his share to Phil C. Whitaker, and the company becomes Whitaker and Ortigas. In 1931, the partnership becomes, Ortigas, Madrigal y cia., S. en C., as it was incorporated with Vicente Madrigal and Don Paco Ortigas with other partners in “sociedad comanditaria por acciones.” All the incorporators, except Quezon, who was President of the Philippine Senate at that time, were constituted as managing and general partners (socios gerentes colectivos) while the other shareholders were designated limited partners (socios comanditarios). The objective of the partnership was to acquire the Hacienda de Mandaloyon, which spanned the municipalities that are now known as Mandaluyong, San Juan, Pasig & Quezon City. The Estate was to be disposed of either in large tracts or developed subdivided lots. In 1985, Campos, Lanuza, Olbes and groups of general and limited partners who held 42% of the entire partnership’s equity also withdrew from the partnership. The western portion of Ortigas Center is part of Mandaluyong City. It is in the eastern side of Barangay Wackwack Greenhills. Mandaluyong is known for being the “Shopping Capital of the Philippines” because it is home to a cluster of shopping centers which stand side by side. This is where most of the shopping malls in the area located like SM Megamall, The Podium, Shangri-la Plaza Mall and St. Francis Square Mall. It is also proximity to nearby Cybergate Center. The northern portion of the area is part of Quezon City. It is situated South of Ugong Norte. The People Power Monument and Robinsons Galleria is situated here. Robinsons Galleria is a mixed-use complex composed of two high-rise office towers namely the Galleria Corporate Center and the Robinsons-Equitable Tower, the Holiday Inn Manila and Crowne Plaza Manila, the Galleria Regency and a 5-level shopping mall. Before Robinsons Galleria, This mall used to be an open land owned by SSS at Ortigas CBD. In 1986, they used the land for the People Power Revolution. In 1987, John Gokongwei bought the large portion of the land from SSS. It started construction on mid-1988 and finished on late-1989. The mall opened in 1990 being the first mall of Robinsons Malls. The eastern portion of Ortigas Center is part of Pasig City. The whole place is politically known as Barangay San Antonio. It is where most of Pasig’s Financial Resources are primarily concentrated. This is where most of skyscrapers of Ortigas Center located. The barangay of San Antonio has the largest income in Pasig, second only to Barangay San Lorenzo of Makati City as the largest single income-generated government unit in the Philippines. Ortigas Center is surrounded by the streets of EDSA to the west, Ortigas Avenue to the north, Meralco Avenue to the east, and Shaw Boulevard to the south. 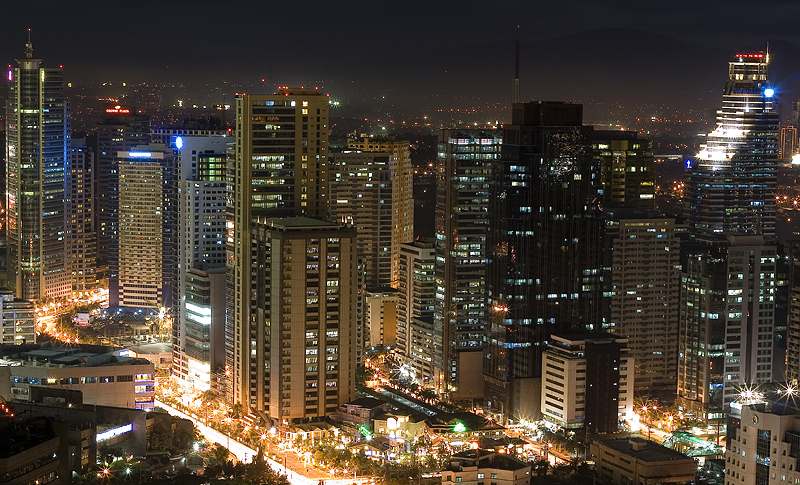 This makes Ortigas Central Business District became the top business districts of Philippines.